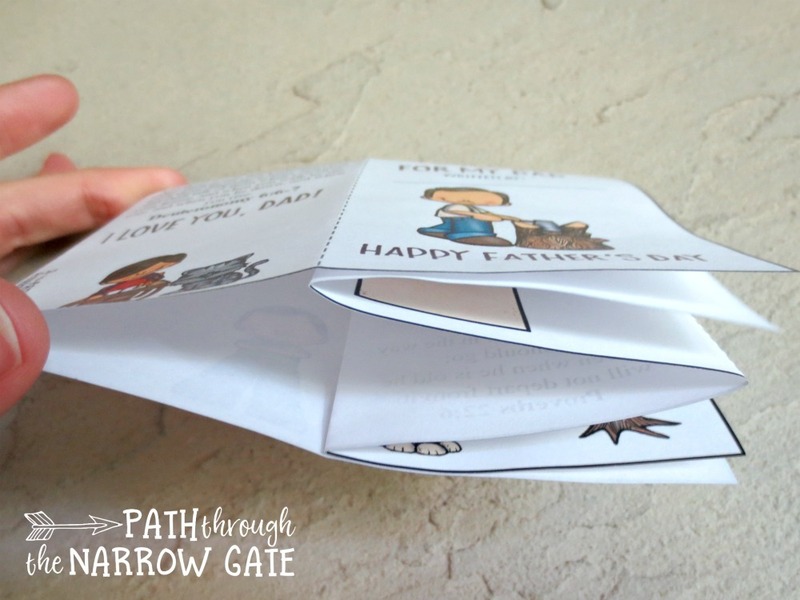 These little cards are made up of a one page printable (super easy which is what you need!) and are lots of fun to make. 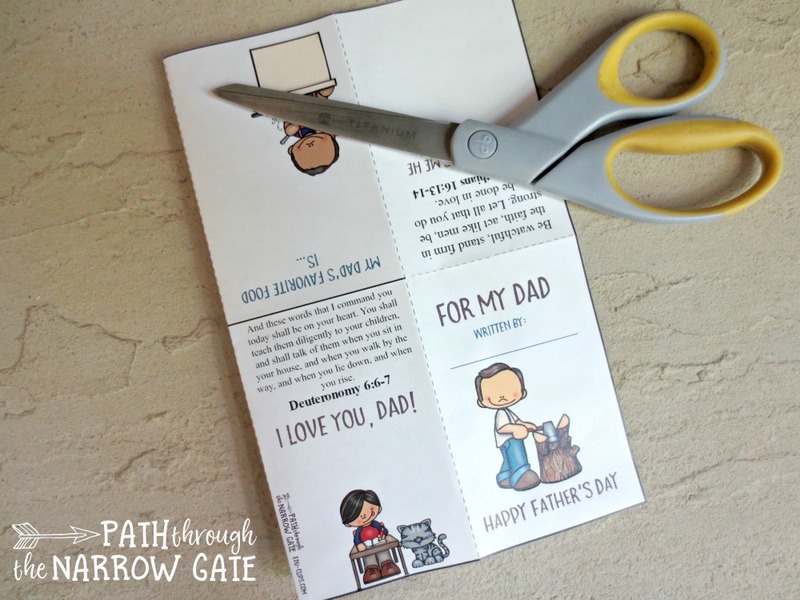 All you have to do is show your kids how to cut, fold, and fill in the blanks to create a memorable card that dads are sure to appreciate. 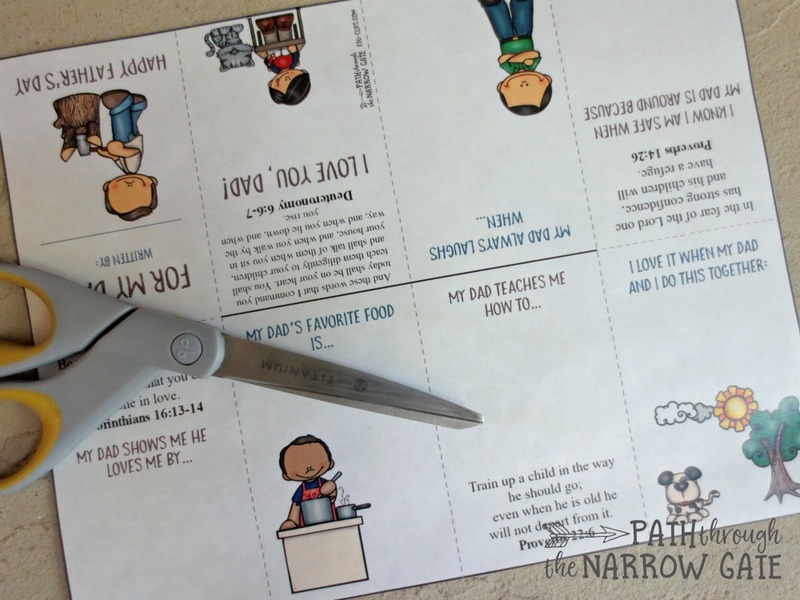 You don’t even need tape, glue, or staples – just the printable, scissors, and something to write with. That’s it! 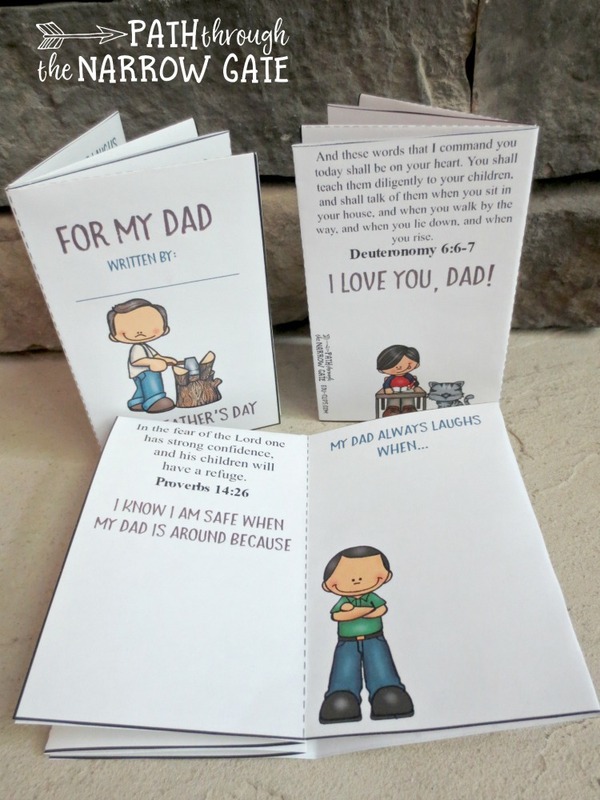 This little book includes six writing prompts (“My Dad always laughs when…”, “My Dad teaches me how to…”) and four Bible verses chosen just for fathers. The book is available in black and white (for kids to color themselves) or full color. It can also be downloaded in three different Bible versions: King James Version, New International Version, and English Standard Version. 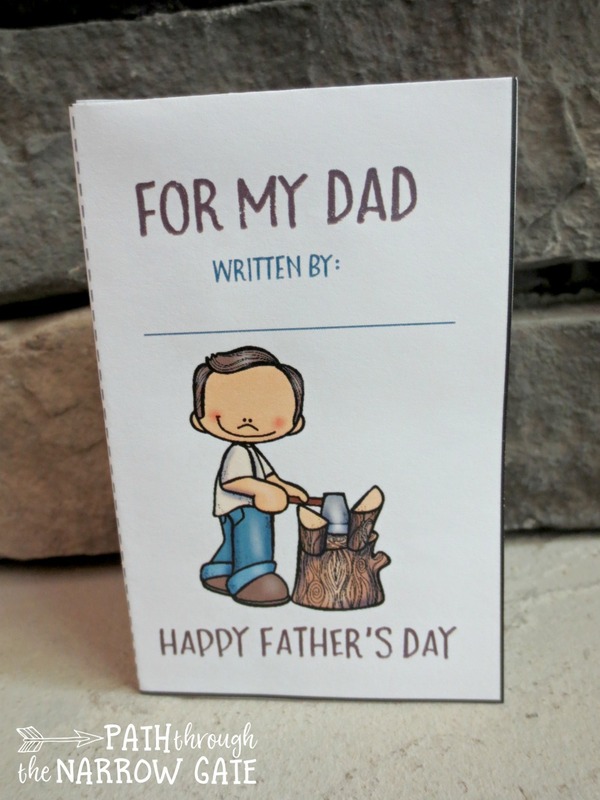 There is also a version especially design for Grandfathers! 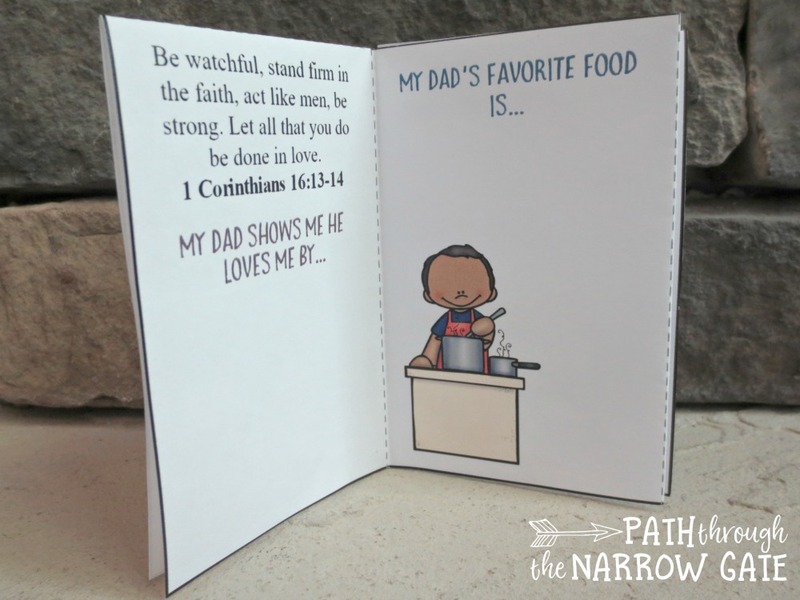 I can’t get over how fun this little printable Father’s Day card is. 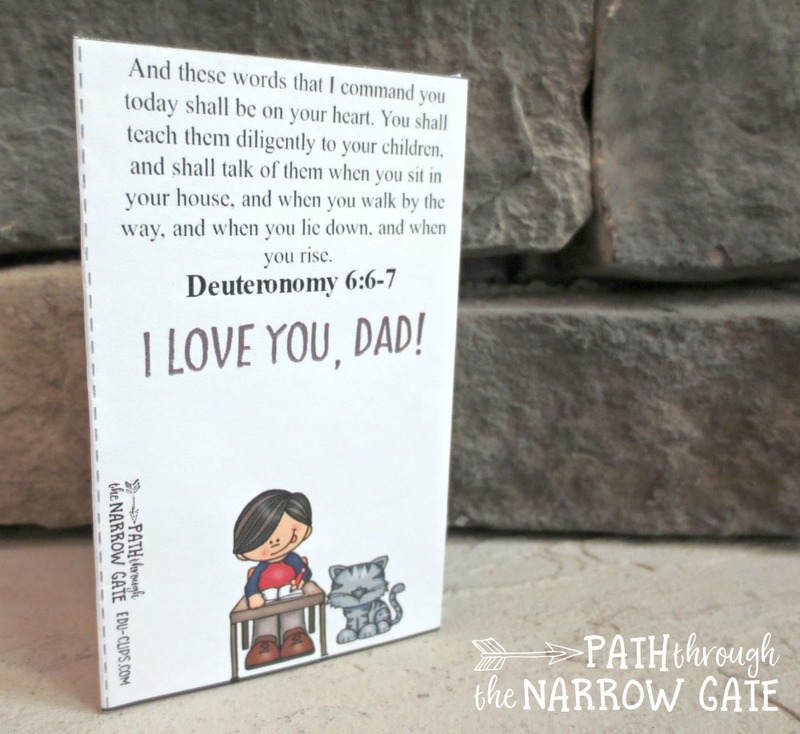 A little book from one printable page… Who knew? 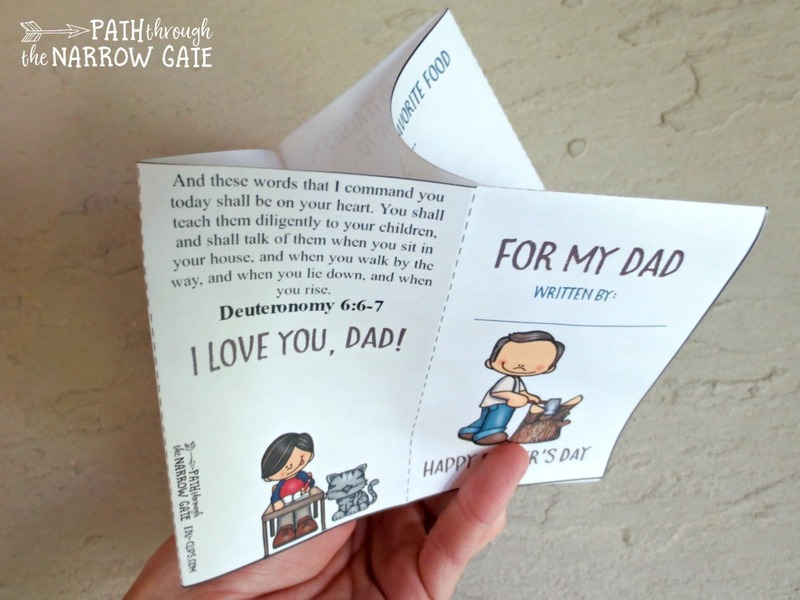 I can definitely see more of these printable mini books coming in the future. 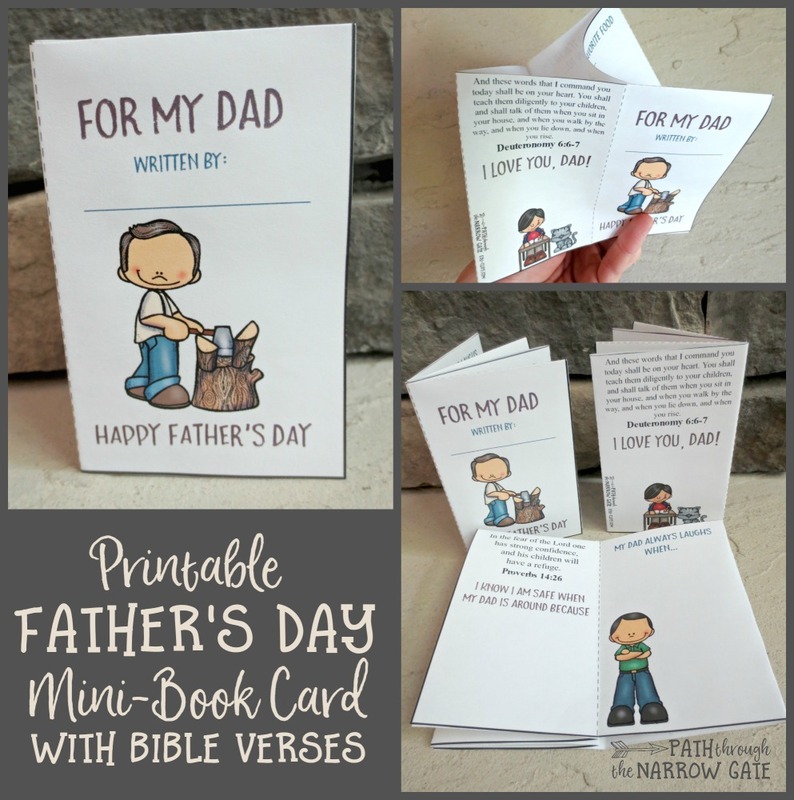 Sign up in the box below to get your own FREE copy of this printable mini book. Are you planning on using these? I would love to know how you use them and hear how it goes. Please scroll down to comment. And, while you’re at it, don’t forget to share on Pinterest or Facebook. You really help me out every time you share this content, and I appreciate it so much!